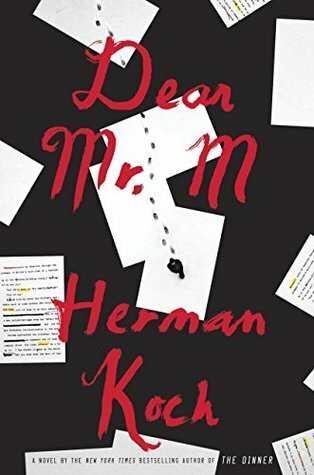 Today I'm featuring Dear Mr. M by Herman Koch, author of The Dinner and Summer House with Swimming Pool. I borrowed this book from the library. Having read Koch's previous novels, I am eager to begin his latest work. Koch's stories thus far have centered on flawed characters motivated by self-interest and a desire to preserve their families at all costs. This post was originally written and published by Catherine for bookclublibrarian.com. It cannot be republished without attribution. Retweeting and sharing on Google+ are appreciated.